It’s no secret that the winter in Tahoe provides excellent conditions for skiing. The snow is plentiful, and the slopes are grand. Lake Tahoe things to do take advantage of Tahoe’s beach and mountain environments, and there are so many things to do in Lake Tahoe in winter in the different towns to keep you entertained and busy throughout your entire vacation. Visit Truckee to enjoy some of the ever-popular alpine or cross-country skiing. Whether you’re a beginner or competitive skier, the variety of slopes and ski trails at all difficulty levels will cater the experience toward your desire. And when you want a break from swooshing through the mountains, check out a ski-themed village in Squaw Valley. 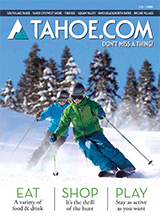 There, the things to do in Lake Tahoe in winter range from restaurants to shops to even mini-golf. Skiing is just one of many Lake Tahoe winter activities to enjoy — you can also partake in snowboarding, ice skating or hiking through the snow-coated Sierra Nevadas. Things to do in Lake Tahoe include winter activities you won’t find anywhere else. How do you like the idea of a sleigh ride along a portion of the Pony Express in South Lake Tahoe? 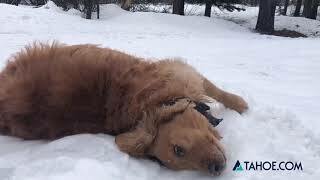 Or maybe the act of sending a dummy in a snowboard careening down a mountain in Incline Village piques your interest. If the outdoors isn’t your scene, you can still have tons of fun with the things to do in Lake Tahoe in the winter. Get a taste of Lake Tahoe culture by checking out art galleries in Tahoe City or movie theaters where you can stay up to date on the latest blockbusters. If you’re feeling lucky you can swing by a casino one night in the Nevada side of Lake Tahoe to try your hand at Blackjack, Texas Hold ‘Em and more. Whether you’re on vacation or not, be sure to take some time for yourself with a Kings Beach thing to do, like visiting a local spa to get a little rest and relaxation. Ed Z'Berg Sugar Pine Point State Park is your best bet for winter camping. Also open with a larger selection of sites in the summer, the park is positioned to take advantage of both the beautiful natural setting of Lake Tahoe and the historic aspects. Within the park is access to the Hellman-Ehrmann Mansion that was built in 1905. The property is still exquisitely maintained and is an excellent representation of the wealthy side of Tahoe. There are various trail heads, swimming beaches and great fishing within the park as well as a Nature Center that helps visitors identify the local flora and fauna. In the winter the park hosts full moon snowshoe expeditions, historical tours via snowshoe and a groomed cross-country track. Dogs are allowed on leash only.